Microsoft new operating system has earned acclamation and Windows 10 takes a great step forward from the Windows loving users. Microsoft has made it very easy to upgrade by letting users reserve their free copy of Windows 10 using the app or by grabbing the ISO files for performing the clean installation of the operating system. However not every user is having smooth upgrade experience many of them found complaining about upgrade problems and collecting information and fixes. 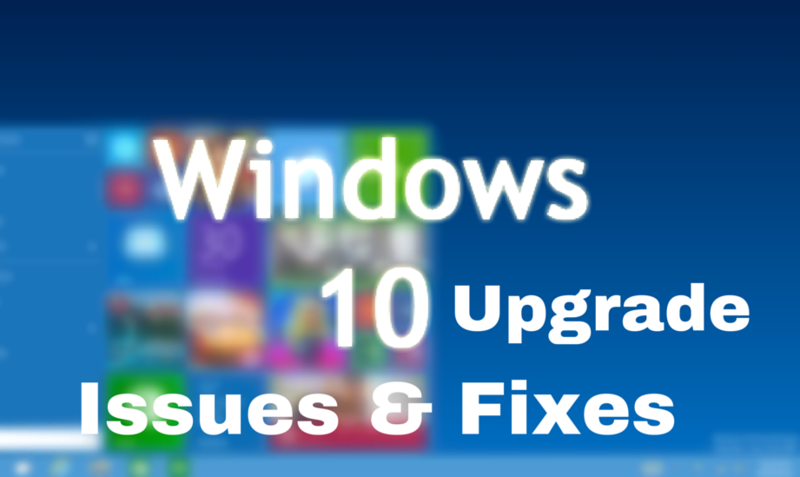 So, here in this article find out the common Windows 10 upgrade problems and how to fix it. The Windows 10 upgrade process drags old files, settings, and programs from previous Windows system to the latest one. And if you are eligible for Windows 10 upgrade and want to start fresh then you can do it by grabbing the Windows 10 download tool. Many users upgrade their PC to the latest Windows 10 and gets it running on their PCs, they are facing issues. One issue that is faced by many users is Something Happened error and it is called so because it is this that shows up on the screen. 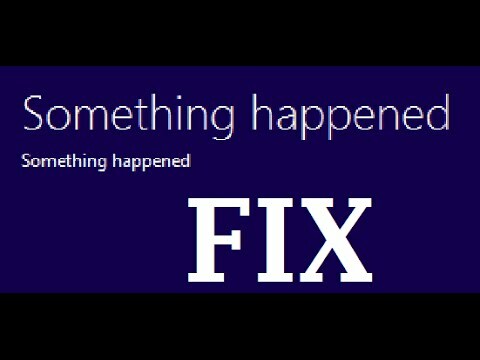 Fixes: Microsoft is having a tool to fix the issue automatically and this tool is called Windows Update troubleshooter. But if in case you are not able to fix it then read this. Many users are found reporting that the upgrade system shows that Windows 10 is compatible with their PC but some devices don’t work. This is really frustrating but tries the fix to get rid of this. Fixes: Well to get rid of the issue, try to do the update anyway and as the update is finished, download latest drivers for the device on your PC, laptop or tablet. You can manually check for the updates after you have upgraded Go to Start > Settings > the Update and Security and then click on Check for Updates. 0xC1900101 – 0x30018 is the another error code faced by the Windows 10 users and the main cases behind this is the incompatibility of hardware or software and this is accompanied by the message “ We Couldn’t Install Windows 10. Microsoft executive confirms that this is caused by incompatible driver or security software. 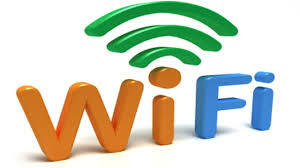 This is found turning off the antivirus software, wireless internet, and unnecessary extra devices can fix the issues. But if this doesn’t help you then read this article to fix it easily. 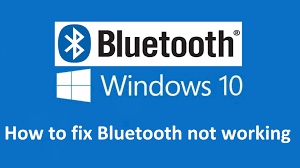 Many Windows 10 users are facing issues of Bluetooth not working properly after Windows 10 upgrade. It is faced by the users after upgrading their OS to Windows 10 and during to Bluetooth it shows the error message. Well, there are some solutions that you need to follow to fix this issue. Microsoft unleashed a mass of small notebook PCs to boost the sales but these PCs are having the limited amount of storage and due to this upgrading they to Windows 10 is quite difficult. And many other have so much stored on their PCs that they are not able to get the upgrade installed. Fixes: Since in both cases users are not able to download Microsoft’s Windows 10 Upgrade tool and install the upgrade files on a flash drive or external hard drive. So click on Download the Tool now and follow the instruction mentioned under the upgrade. If you want to freshly install Windows 10 then this requires that you have your product key from the version of Windows that was on the PC before Windows 10. If you are having Windows 7 or 8 then stare for the sticker somewhere on the PC, but if you are using Windows 8.1 then the key might be implanted in your device. If that is the cause you requires Windows product key that might come in the paperwork of your device. It is estimated that there are tons of PCs that are not running a genuine copy of Windows 7 or 8.1. Free windows 10 upgrades are only given to the users who are having the genuine versions of Windows 7 and 8.1. Genuine means each copy of Windows that came with user system directly from the Microsoft’s hardware partners or someone purchased a copy of Windows directly from Microsoft and installed it. Microsoft has purchasable versions of Windows 10 coming on flash drives and starts at $119.99. One can also join the Windows Insider Program and get access to the upgrade free of cost. Well doing this gives Microsoft permissions to put unreleased and incomplete features on the device. Microsoft had solved many Windows update error but users are still facing different error while updating Windows 10. It is found that users are getting this due to connection interruption between the Pc and Windows Update servers so to fix it try the temporary solution close the Windows update and wait for 10-15 minutes and after that run Windows Update again or else run the Windows Update Troubleshooter, this also fix the issue regarding Windows 10 operating system. The big part of Microsoft’s Windows 8 push consisted of media tablets. Generally, Media tablets have a screen around 8 inches and that don’t come with a keyboard. They are meant as video players, music jukeboxes and substitute to small Android tablets like Kindle. Windows 8 media tablets repeatedly come with 32 GB of storage, and the user is left to store everything on a microSD card. Since the users of Media tablets find that they don’t have the space to download the free Windows 10 update and for those users Microsoft suggested the Windows 10 Media Creation Tool and installing the upgrade on a USB flash drive and for connecting the flash drive to media tablet it requires a MicroUSB to USB adapter. Users who are taking benefit of the free Windows 10 upgrade notice that they are having notably less storage space than they had when they start the update. This is because Microsoft store’s the old copy of Windows for 30 days, giving upgrades the opportunity to the user if they want then they go back if they don’t find Windows 10 satisfactory. And anyone who likes Windows 10 and doesn’t plan to back can manually delete their old copy of Windows. For this go to Settings > System > Storage. Then click on Temporary Files and the click on Delete Previous Versions if you found anything. This error code appears that some emerge at some dissimilar occasions and this might mean that the upgrade process was interrupted because user accidentally restarted their PC and log out of PC. So, to fix it try upgrading again and check the PC is plugged in and stays turned on. Also Read: How to fix error message 0x80200056? In some cases, the Windows 10 upgrade process are successful but leave the user with a bit of setup to get back to work. But before starting the upgrade, Windows 10 collect a list of apps and this needed to be removed from the particular system before it can install Windows 10. And as the upgrade had finished the upgrade, users are able to install the missing program again. Remember it was removed because Microsoft concludes that it would not work after the upgrade. The user might find that after reinstalling it, this doesn’t work properly. Many users are able to upgrade their PC with the Windows 10 upgrade but they are left with the device that just gives them black screen and PC won’t start. Some users are found complaining in the forums about the baffling error codes 80240020 while performing Windows 10 upgrade. This is the error codes that is faced numerous user without any explanation. Windows 10 is the newest operating system and many users are not able to update their Windows OS to the latest Windows 10 and many are able to update. Since the users who are able to update are facing various issues, bugs, post-update issues. 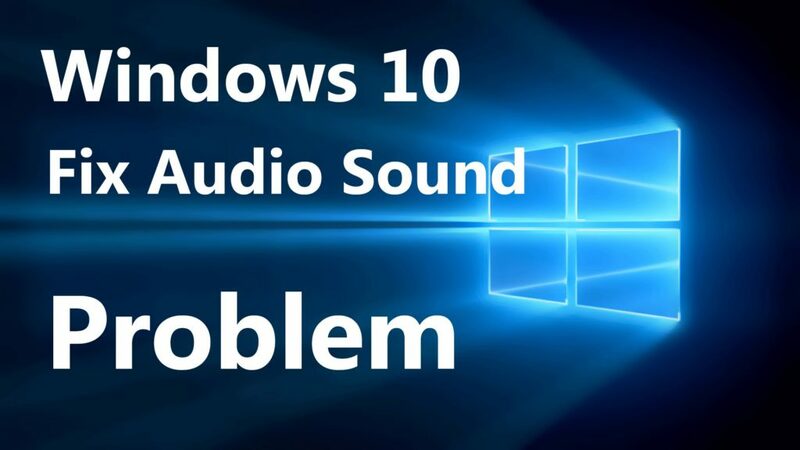 Some of them are found complaining about the no sound audio issues after updating to Windows 10. This is very annoying issues but it can be fixed. Well, it is found that this issue is related to sound card drivers so to get rid of this you need to modify the sound setting and to do so read this. Users who have installed Windows 10 and activated it online can get the fresh install to get rid of various errors. Users can use the built-in reset tool in Windows 10 update and recovery. For this go to Settings app and select Update & Recovery and from there choose whether you like to keep files or cleanly install everything again. Many users who had manually activated the free Windows 10 upgrade are facing are of poor performance and screen flashing in Windows 10. The user who had manually updated their device are having tons of Windows 10 problems, there are chances that it is related to the drivers installed on the PC and they haven’t updated to Windows 10. So after the installation goes to the Settings app and clicks on Updated & Recovery, then click on Check for Updates button. And to fix the issue update the latest software and hardware drivers installed on PC. Download the latest drivers especially for Windows 10 from the official site. This is another error message and the error might mean that PC can’t be connected to the Windows Update servers. This error could also mean that in the System Reserved partition there is not enough space. So to fix it if you are using a VPN connection to connect to a work network, then disconnect from the network and turn off the VPN software and try to upgrade again. But if not then read this. Many of the users are getting this error and the error might means that the driver or software on your PC is not compatible with the upgraded Windows 10. So, to fix this issue download latest updated driver or software compatible with the windows 10 from the official website or manufacturer’s support website. There are various types of error faced by the Windows 10 users, error code 0xC1900208 – 0x4000C is one of them, and this error might mean that the app installed on PC is blocking the upgrade process from completing. To fix it make sure that any incompatible apps are not uninstalled and they try to upgrade again. 23. Windows 10 Upgrade Problems: Error: The update isn’t applicable to your computer. This error might mean that PC doesn’t have the required updates installed, this is the very annoying situation for the users who want to update their system with the latest Windows 10. Before trying updates first make sure that all important updates are installed on your PC and then try to update Windows 10. This is also one of the annoying error and this appears when you try to download or install the upgrade to Windows 10. You are getting this because your PC/laptop is not meeting the minimum system or hardware requirement, check for the system or hardware specification and if needed update the software or hardware or this might be the case that you are not running the correct version of Microsoft Windows to begin the upgrade. Well, there are many issues in the latest Windows 10 and Wi-Fi is the latest one and many users are found complaining about it after updating with the build 9926 in Windows 10. Buty it can be fixed by taking certain steps. Fixes: This issue occurs if older VPN software is installed on Windows 8.1 and is presented during the upgrade to Windows 10. You can scan your PC with the Windows Repair Tool, this is a repair utility that can help to fix the Windows operating system from damages caused by viruses, malware, spyware and many others. This helps to make the PC error free and fix the problem of crashes, freezes, blue screen errors and much more. It fixes the errors from the online database those data are required to resettle your OS and run it smoothly. It also optimizes the performance of the PC/laptop and enhances the speed of the PC, and application installed. It only fixes the errors but also keep an eye on how PC hardware are running and detect the hardware problem so that the user can get them repaired. It is an excellent tool to fix various errors in the Operating system. 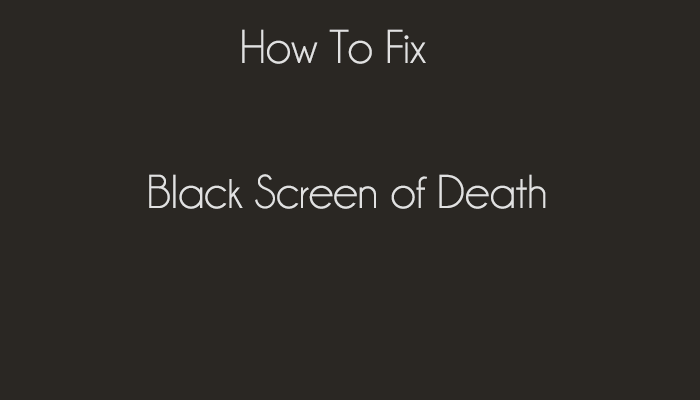 This can repair various errors like DLL error, Windows error, Application error, repair Registry utilities, PC error, Blue screen of Death errors, slow computer, and various other Windows error messages. It is easy to use and fixes the error automatically so there is no need to contact and technical person. Just download and install it to make your PC error free. It scans and fixes all kinds of errors easily. The software automatically scans and shows the current level of registry damage on PC, the exact number of errors, and when the last scan was completed. This software processes an online database of more than 25 million definitions and other update connection that is important in maintaining the PC. This tool has the latest repair method and takes the backup of the Windows system and working as a recovery system. It can also recover the missing passwords. And increases the system booting time by defragmenting the system drivers. 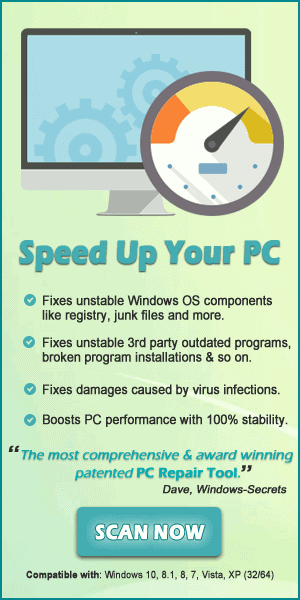 It provides the best online repairing solution for the Windows operating system. It repair any sort of damages to the registry automatically without affecting the PC and also creates the valid backup automatically. It is a scheduled repair tool that automatically scans and repairs the errors as per set duration.